LG Display is taking Samsung to court over seven patents relating to its OLED technology. Five products are in the spotlight for potential patent infringement, including Samsung's Galaxy S smartphones and the Galaxy Tab 7.7. LG is looking for unspecified damages as well as a permanent sales ban on all infringing devices, which would spell pretty bad news for Samsung if it comes to pass. Samsung and its super successful Galaxy line-up are under fire from all angles, with a number of long-running and globe-spanning cases between it and Apple hitting headlines this year. 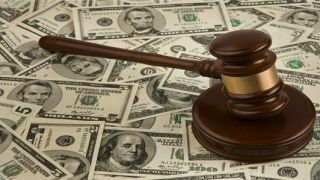 The Korean firm recently lost one high profile case in the US, where it has been ordered to pay Apple over $1 billion in damages. Of course that's not enough for Cook and co, so expect to hear the two companies taking more pot shots at each other in the coming weeks. And no doubt there'll be legal sniping between LG and Samsung to look forward to as well. Why can't we all just get along?